Edinburgh Music Theatre presents Sweet Charity, 16-20 April at the Church Hill Theatre. Join Charity Hope Valentine as she searches for love in the strangest places in New York in the Swinging Sixties. 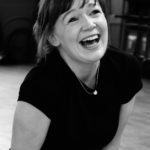 Charity is a dancer for money, as unlucky in love as she is in life, but ever hopeful of realising her dreams of romance, a comfortable life and escaping the seedy Fandago Ballroom. 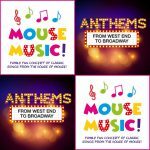 Featuring the enduring musical classics Big Spender, The Rhythm of Life, Theres Gotta be Something Better Than This and If My Friends Could See Me Now, Sweet Charity is packed with hilarious characters, stunning dance routines and a whole lot of heart. 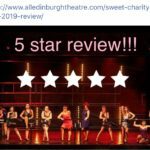 Sweet Charity opens to a 5 Star review! It’s Fringe time again. See one show, get the second half price! 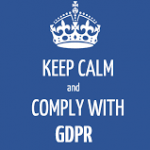 GDPR – Do you want to be contacted by us?